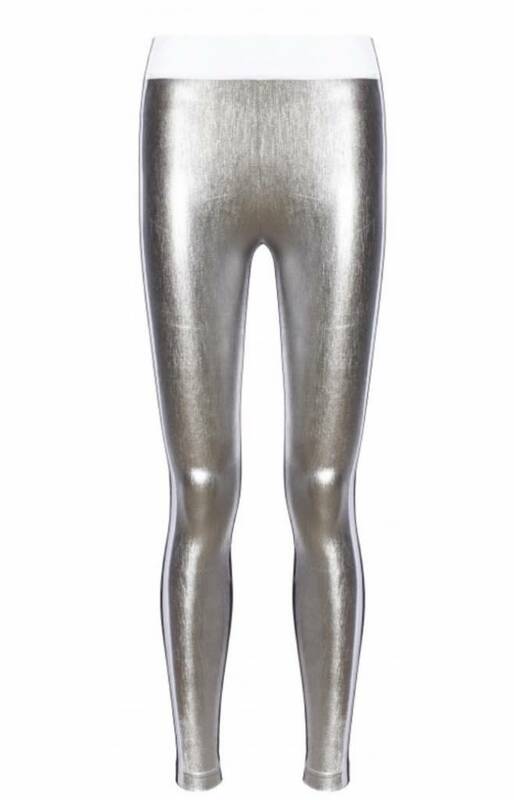 Beautiful couture legging in either metallic silver or gold. The design & quality are really outstanding. 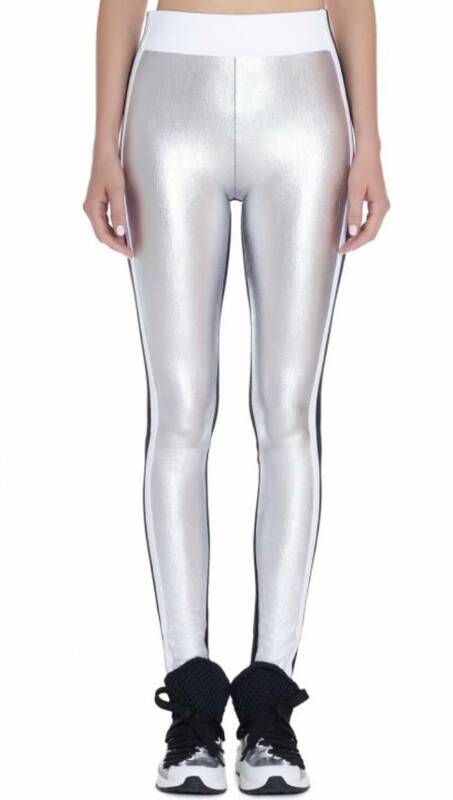 Perfect as a festival or party outfit. 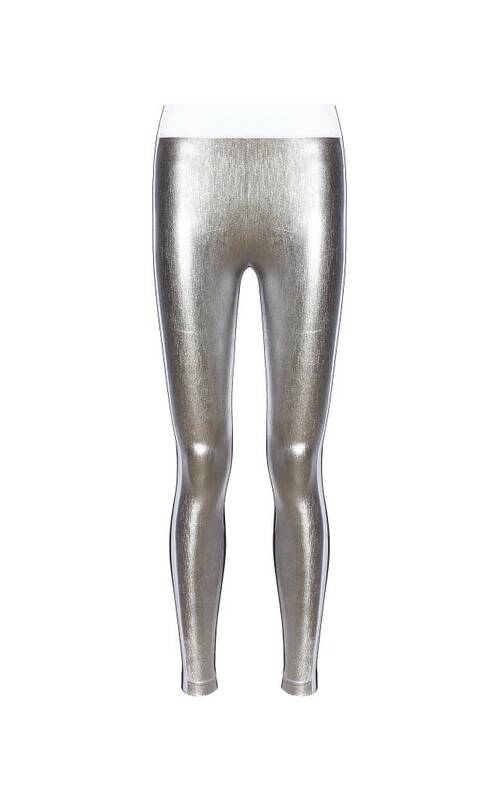 The Kalia Leggings from NO KA’OI are really awesome. 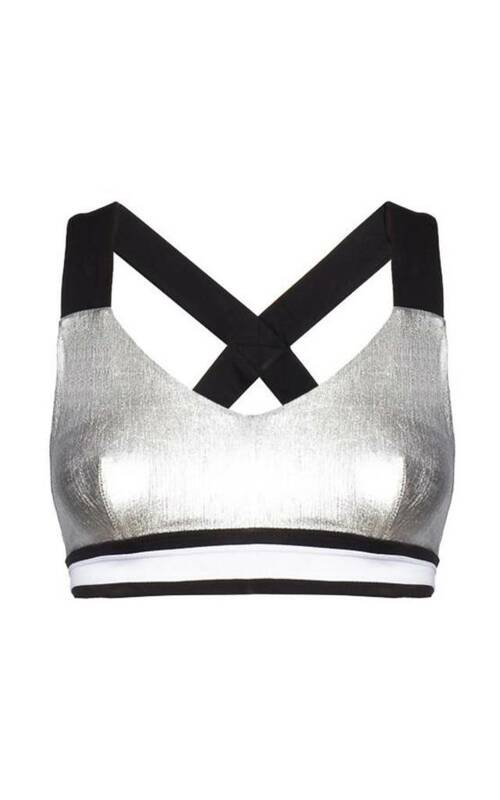 It’s constructed from technical fabric and designed with metallic, white, and black color-blocking. 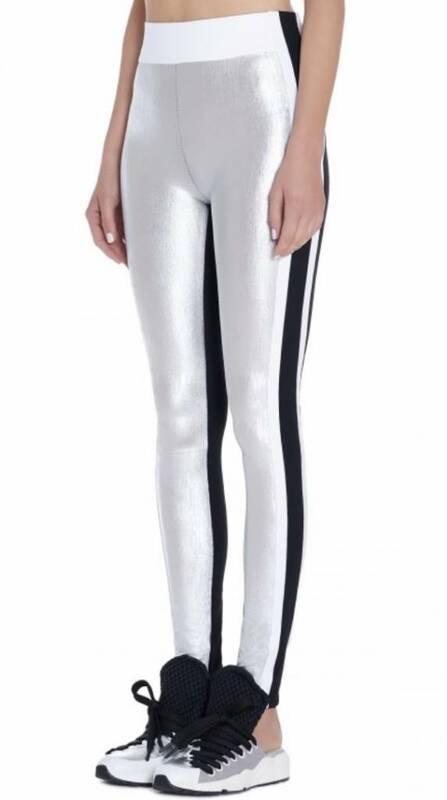 This golden or silver legging definitely adds value to your leisure wardrobe because of its couture-inspired construction techniques. 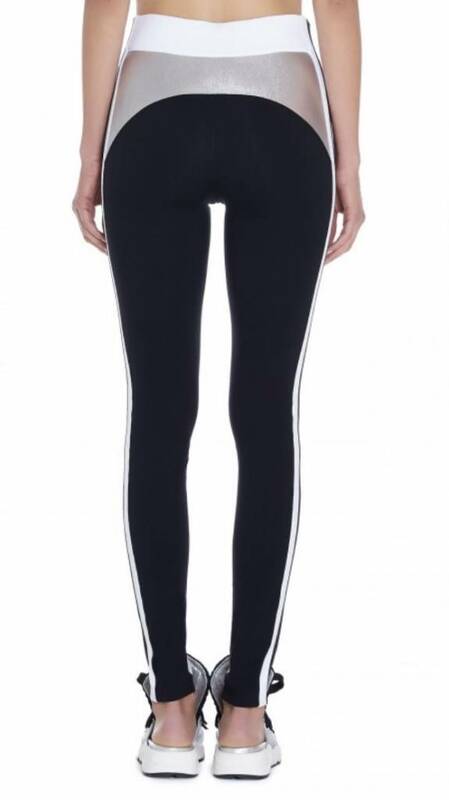 Features are an elasticated waistband and full-length slim fit, the Kalia Leggings are perfect not only for your workout but also to wear it to a festival, party or other cool activities. You will definitely stand out!